St. Louis and Henri IV. ; being a Second Series of Historical Sketches (by John Hampden Gurney, 1855). We are glad to see amongst the advertisements of Christmas books, one which attests the continued popularity of Mr. Hampden Gurney's Sketches of St. Louis and Henry IV. They were intended for the special use of young people who have outgrown Mrs. Markham, and have not yet arrived at Sismondi. In some points of view, such books are much more important than more elaborate histories, for they are read before the critical faculty is aroused, and before the memory is overloaded; and therefore they produce deeper moral results than their avowed slight character would lead many persons to anticipate. Such books, in fact, hold a sort of intermediate position between novels and parables. They aim at combining the interest of the one with the weight of the other, and when they proceed from writers entitled to respect by their position or character; they form a sort of manifesto on the principles of political morality. This is especially the case with the book before us. Mr. Gurney's position at the head of one of the most important parishes in London, his great ability, his conspicuous energy, and his unquestionable honesty, invest what he says upon such a subject with very great weight. In the main, we are happy to bear witness to the value of the Historical Sketches. They are written with remarkable power and life, and seem to us to succeed very happily in being substantial without being dull. Their honesty is quite as conspicuous as their ability. They are written, no doubt, with a definite moral purpose, which, we think, colours, to some extent, the author's estimate of the characters of his heroes. But he never allows his prepossessions to affect his judgment on the moral quality of particular actions. He neither calls evil good nor good evil. He admits the faults of Louis and recognises the virtues of Henry. 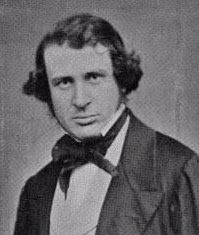 Mr. Gurney's merits have been so fully recognised by the public that we should not have thought it necessary to call attention to the well-merited success of an excellent book, if we had not the misfortune to differ, in a very material point, from the author's view of political morality—a view which is so far adopted by the most recognised teachers of morals that it is of the greatest importance to seize every opportunity of testing its accuracy. We shall enter into no detailed discussion with Mr. Gurney on the characters of his two heroes. We prefer, for the sake of distinctness, to consider them—at the expense of some sacrifice of accuracy—as typical characters, each of whom embraced and carried out different conceptions of political morality; and we say that the conception adopted by Henry appears to us better and truer than that adopted by Louis. The characteristic of Louis IX., which Mr. Gurney singles out for especial admiration, is his scrupulous conscientiousness. His whole moral code, he says, was based upon an undeviating observance of the distinction between right and wrong. He knew nothing of expediency. He cared nothing for glory or greatness. His object was to do justice in all the relations of life. He was ready to restore half his kingdom to foreign sovereigns, if he thought that he, or those under whom he claimed, had obtained it wrongfully. He was ready to die himself, and let his whole army be destroyed with him, rather than take an oath for the payment of his ransom in terms about which he had a conscientious scruple. He was willing, when his conscience bade him, to leave France at any risk to his subjects, rather than miss an opportunity of going on another crusade. In fact, he not only recognised, but actually obeyed his conscience, as being the supreme guide, and arbiter of all his actions. Henry IV., on the other hand, embodies, in Mr. Gurney's view, the principle of expediency. He changed his creed for the purpose of obtaining for himself, and for France, a peaceful reign. He made a contract with the Pope for the sake of quiet, which he broke as soon as circumstances enabled him to do so. In every important transaction of his life he made results—important and noble no doubt, but still results —the tests of principles, instead of making principles the guide of conduct. This, we think, is not an unfair summary of Mr. Gurney's estimate of these great men. Of course men do not really embody principles, nor does, Mr. Gurney represent them as doing so. He would no doubt admit, and indeed his story implies, that Louis did not always act up to his principles, and that Henry often fell short of his. It is very hard to reconcile with good faith the behaviour of Louis in the matter of the truce which he made with the Saracens, and it is quite impossible to contend that it was expedient for himself or for France that Henry should make love to the Princess of Condé. Our difference with Mr. Gurney turns far less on his estimate of articular men, or of particular actions, than on the general feeling that he does more than justice to the principle of obedience to conscience, and less than justice to the principle of expediency. Mr. Gurney, at least, will not deny that the great leading feature of Christian, or, at any rate, of Protestant morality, is embodied in the belief that the common relations of life are in themselves holy and sacred—that it is by God, not only that priests officiate, but that kings rule and senators minister justice—that, however different the evidence of the two facts may be, it is quite as true that the affairs of England are, as that the affairs of Judea were, divinely governed—that it is distinctly wrong to look upon health and wealth, power and glory, as things either de facto or de jure unholy—that passions and appetites were given to men, not to be mortified, but to be used 'and directed to worthy ends—in short, that the earth and the fulness thereof belong, not to the devil, but to God. If this is so, it will follow as a necessary consequence that the rules of morality which regulate our conduct in this life must have a direct application to its circumstances. Their authority must, in the absence of direct revelation, be judged of by their tendency to produce happiness, and not by their conformity with the sentiments of particular persons, who may be ignorant, ill-informed, or prejudiced. The defect in the character of St. Louis, who was, no doubt, an admirably good man, appears to us to have resulted from the fact that, both by habit and by education, he was a stranger to this view of life and of morality. He seems to have belonged to that class of persons—a class far from being altogether inconsiderable—who have too weak, instead of having too firm, a grasp of life. The lives of such persons are a constant protest against the world. Their sense and power of enjoyment are naturally weak. They hardly recognise a duty as such, unless it entails personal suffering. They naturally and habitually think of themselves, not soberly but falsely, and less highly than they ought to think. No doubt such a disposition is quite consistent with great virtues. Such a man may be patient, kind, and gentle—he may have the deepest respect for the rights of others, and the most anxious desire to discharge his own duties. On the other hand, it is equally consistent with great vices. If a man considers the world as the property of the devil, he will be sorely tempted to give its owner his due. . . If he looks upon the common relations of life as things in which he has no concern, he will be apt to abuse without using them—if he thinks temporal blessings of little consequence, he will not much care for depriving his neighbours of them. In short, if such a man as we are describing loves and fears God, he will be a Louis IX -- if he loves nobody, and fears only the devil, he will be a Philip II. or a Louis XV. The bright point in the character of Henry IV. is, to our mind, exactly the point to which Mr. Gurney objects. We cannot admit that his virtues were such as are “generally overrated.” They seem to us to have been virtues almost universally underrated—at least by the express and authorized teachers of morality, though not by the just and healthy popular sentiment. His faults no doubt were many and inexcusable but he had one great master merit. He did earnestly and heartily desire the peace and prosperity of the nation over which he ruled. He had a clear perception that a civil war which had lasted thirty years, and wasted every province in France, was an evil which was not to be borne, and that it was his business to put an end to it. He also clearly saw that the private opinions of one man cannot be made the rule of faith for a great nation, and, on the other hand, he felt that the recognition of the creed of the majority was no reason why the country should be deprived of the services of a very large and very powerful minority. We express no opinion on the means by which he obtained these ends. No doubt St. Louis would have gone to the stake rather than employ them, but it is probable that he would have rather enjoyed going to the stake. There is great dignity in being able, in all events, to say fiat justitia, but our admiration is lessened if we have reason to doubt whether the person who says this much objects to the falling of the sky. We do not say that a man ought to lie for the good of his country, but we should not envy a man who, under Henry's circumstances, felt no temptation to do so. It is a tremendous responsibility to break through an express general rule of morality on account of the consequences involved in a particular instance, but it must also be remembered that there is a tremendous responsibility on the other side. It is not a light thing to say, “I am so convinced that a man ought never to lie, that I will plunge my country into endless civil war rather than do so.” We cannot feel much more respect for the man who has little or no regard for anything but the ease of his own conscience, than for the man to whom it gives no pain at all to break through a moral obligation. We cannot say that Mr. Gurney's view of the matter is so evidently and indisputably true as to justify his choice of the character of Henry IV. as the text of a sermon against expediency. The problems suggested by the whole story are amongst the deepest of all questions, and we doubt whether it is possible to present them and their solution fairly to an immature mind. We do not know, for example, what account Mr. Gurney would give to such a person of the effect of Henry's conduct on the whole subsequent course of French history. We cannot ignore the fact, that many of what Frenchmen would consider its greatest features are distinctly traceable to the very event which he stigmatizes as apostasy, and there are some difficulties in the way of reading their history in our way for the sake of justifying our own theories. If the French are proud of Louis XIV, and of the whole system of centralization to which the Bourbons so largely contributed, we have hardly a right to look upon those chapters of their history as an awful warning; but unless we do so, the consequences have not altogether refuted Henry IV. In some of the private relations of life, Henry's conduct was utterly indefensible. Not a word can be said in excuse for his addiction to that profligate sensuality which disgraced the whole of the Bourbon race, though we ought in fairness to recollect the temptations to which he was exposed by his early education and by the miseries of his domestic relations. But one remark upon this subject cannot be fairly omitted. Mr. Gurney seems to think that Henry's profligacy was only an illustration and development of his general want of principle. The man who was unfaithful to his creed was naturally unfaithful to his wife. Surely, this is not quite a fair consequence. The feeling which led Henry to change his creed—which act we do not wish to justify-was distinctly a good feeling; for it was a desire to see France prosperous and at peace. He may have been mistaken, or even wrong, in the means, yet he certainly was right, and not wrong, in wishing most earnestly to obtain the end; but in the case of the Princess of Condé he was wrong, both in the end and the means. He risked the most serious evils to himself and to France, merely for the sake of gratifying a vicious inclination. Surely it is not fair to charge the principle of expediency with consequences which, if fairly applied, it could have prevented? We must disclaim the imputation of justifying Henry's conduct or character. We cannot call evil good any more than Mr. Gurney; but, on the other hand, we cannot call good evil, and we deny that either facts or principles call upon us to pass an unqualified sentence of approval on every man who acts according to his conscience, or of condemnation on every man who violates general rules for the sake of particular advantages. Obedience either to conscience or to rule is only a means towards the end of acting right. Nothing can be less precise than the method in which express moral rules are stated; and unless they are interpreted with reference to their objects, it would be impossible to act upon them. Take, for example, the Ten Commandments. “Thou shalt not kill,” forbids killing another person in self-defence as distinctly as it forbids the worst assassination, if we look at the words only; and on the other hand,—“Thou shalt not bear false witness against thy neighbour,” would seem, if strictly construed, to convey an implied sanction to the practice of perjury for a neighbour or against a stranger. All moral rules are ϕωνώντα συνετόισι, and the proper instrument for interpreting them is a robust and not a scrupulous conscience. Life is not long enough for scruples. It is curious to observe how strongly the lives of the French and English kings exemplify the two types of character which we have assigned to Louis IX. and Henry IV. With one or two exceptions, such as Henry VI. and Queen Mary, every English monarch from the Conquest to the accession of the Stuarts had vigorous aims, a strong interest in life, and a bold, plain, straightforward morality, resting upon substantial and intelligible grounds. On the other hand, it is remarkable how many of the French kings were quite unable to take any decided view of life, or to see in it anything more than a theatre for the display of wild and unreasonable passions, the exercise of technical virtues, and the discharge of formal duties. Louis IX. was a good man, and reconciled his temperament with great virtues; and the same, to a very much less extent, may be said of Louis XVI. ; but it is most instructive to observe that it was far more frequently associated with the basest cowardice and the meanest vices. Henry III., Charles IX., and Louis XV., are names which have earned a certain immortality of vileness, but each of these men had something in common with their great ancestor. They had consciences which taught them to undervalue the world in which they lived. In Louis XIII. the same trait recurs, though in an infinitely less loathsome form. Even in Louis XIV. and Louis Philippe there was a touch of the same temper. It is one which we cannot envy or admire in any of its manifestations. Nor can we help feeling indulgently disposed to a sovereign who took a more manly view of moral obligations, even though he acted up to it very imperfectly. We cannot repudiate our own history. The British empire was not built upon scruples. Casuists might find flaws in our title to India, and suggest doubts as to our rights over the Cape or North America. We have no sympathy whatever with such feelings. Greatness and power are the gifts of God, to be vigorously seized and vigorously employed; and it is faithless and cowardly to shrink from looking at the consequences of an act, as well as at its formal description, for the purpose of ascertaining its moral character. Saturday Review, December 27, 1856.